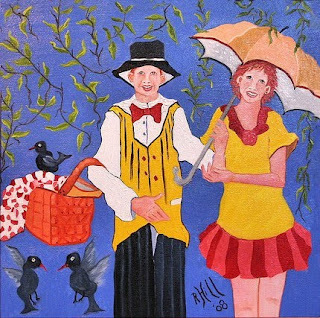 Dimples & Dragonflies Studio & Gallery LLC: Framed Below: Oil On Canvas 25.5 Inches Square "THE PICNIC" For sale through my Etsy Shop. 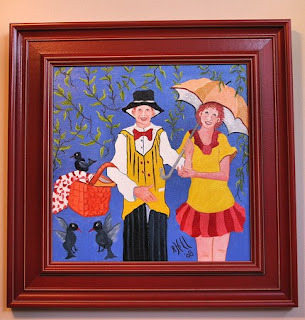 Framed Below: Oil On Canvas 25.5 Inches Square "THE PICNIC" For sale through my Etsy Shop. 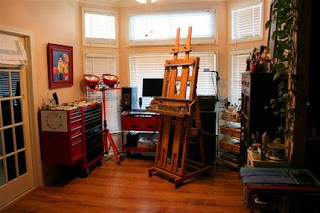 My Studio, where I happily create for Dimples & Dragonflies. My signature Red Frame. This is one of my all-time favorite canvases. 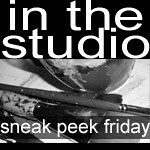 Have it hanging in my studio for now.